I love the holidays. This season is truly one of my favorite times of the year. But we all know that in order to get your house truly ready to host family and friends, special cleaning routines need to come into rotation. The china comes out. Your extra set of wine glasses and champagne flutes are brought out of hiding. The holidays usually mean double or triple the amount of traffic that a typical house is used to. The secret to getting ahead of it all is equipping yourself with the tools that you need to tackle the upcoming cleaning extravaganza with ease. DishFish products have a unique shape which makes it easy to clean wine glasses and champagne flutes. So, stock up now and save yourself time and money. 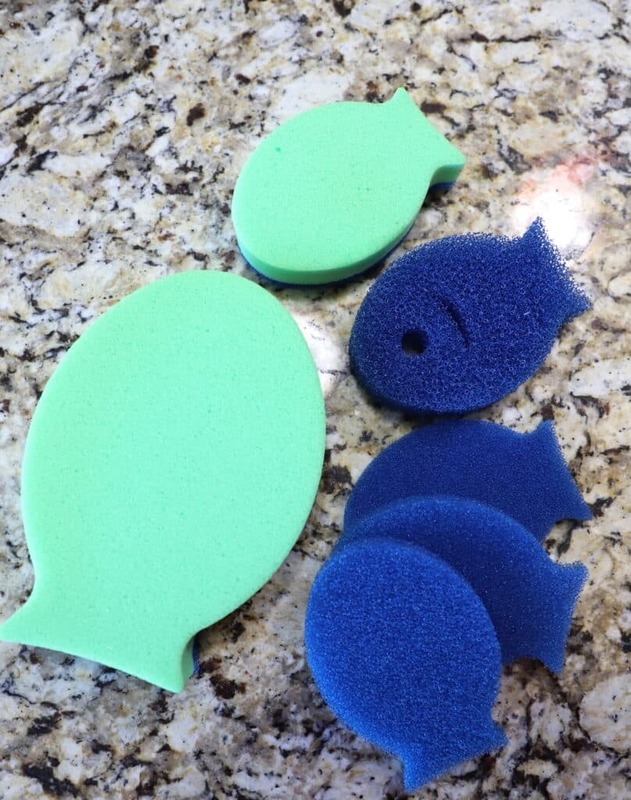 DishFish sponges are 10x stronger and are 6x more water absorbent than typical sponges. They are also 2x more absorbent towards grease and grime than the leading brand. Less work on our parts when you have the right tools in your hands, right? Love that! Their exclusive PowerCell Technology attacks grease and grime but is still gentle enough for sensitive surfaces. That’s why they make the perfect tool to handle your favorite wine glasses and champagne flutes. I’m someone that hosts about 4 parties during the season and I love it. I’m not complaining – believe me. But with every holiday dish you serve, there is a platter that you need to soak and clean. It’s a lot. People never really think about the AFTER or the BEFORE of an event. They just think about the wow of the actual moment. And with good reason. Nothing beats spending time with the people you love. But every hostess knows that a party doesn’t end when the last guests leave your house. A party ends when the last dish gets put away. LOL! What Makes DishFish Different Than Your Typical Sponge? Powercell Technology – which attacks the grease and grime, but is gentle enough to not scratch sensitive surfaces. 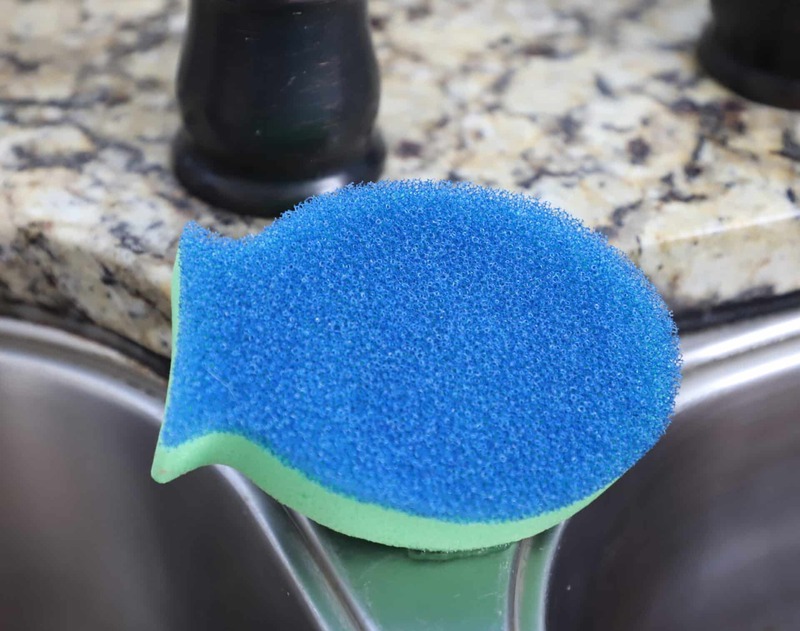 DishFish sponges and scrubbers are your household cleaning workhorse. Powerful enough to tackle everything from baked-on grease in the kitchen to soap scum build-up in the shower. DishFish Scrubber: The revolutionary new dish-cleaning tool with the ergonomic shape that introduces PowerCell Technology™ for powerful, scratch-free scrubbing—even on your most sensitive surfaces. DishFish Dual: A dual scrubber and sponge that utilizes PowerCell Technology™ for powerful scratch-free scrubbing and ForeverFresh Foam™, makes it ultra-absorbent with single swipe cleaning to get “wipe dry” results. Perfect for everyday household cleaning tasks. DishFish Lil Scrubber: A revolutionary new scouring-type pad with exclusive PowerCell Technology™. ForeverFresh Foam™ for challenging “on-the-go jobs” or hobbies including automotive, motorcycle, marine, RV, hunting or fishing. Be sure to replace every 6-12 weeks. That’s a much longer time than the competition which on average you can only use for 1-2 weeks. Practical. Economical. Functional. And it WORKS!!! Good Housekeeping agrees that DishFish helps eliminate bad odor while inhibiting bacteria odor, mold, and mildew. This is so very important! 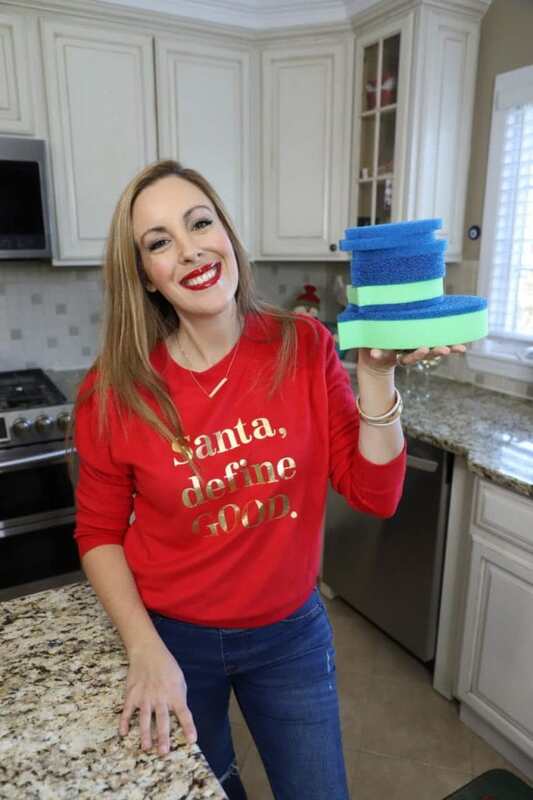 Reader’s Digest called this sponge one of the 20 Genius products under $20 that will make your life easier and Us Weekly called DishFish a 2018 MUST HAVE. YEOW! Talk about a major pat on the back! Where Can I Find DishFish? You can find DishFish products at major retailers nationwide or on Amazon.com. Learn more at https://www.thedishfish.com/. I looked these up on Amazon, because I want to get some when we move back into our house. Of course, we’ll be using the dishwasher as much as possible (per my FB post from the other day!). Can’t wait to try them! I’ve heard great things about DishFish. I especially love their shelf life. More tough job tackling with less in our landfills. Every year, I vow that I will find a way to keep clean dishes clean while they wait in the cupboard to be used. Every year, I am wrong. DishFish looks like it would make the rewashing job a lot easier. We don’t have a dishwasher so this DishFish sponges will be on my shopping list this week. I like that they are durable and that they will really help get the dishes done in no time. How cute are they? 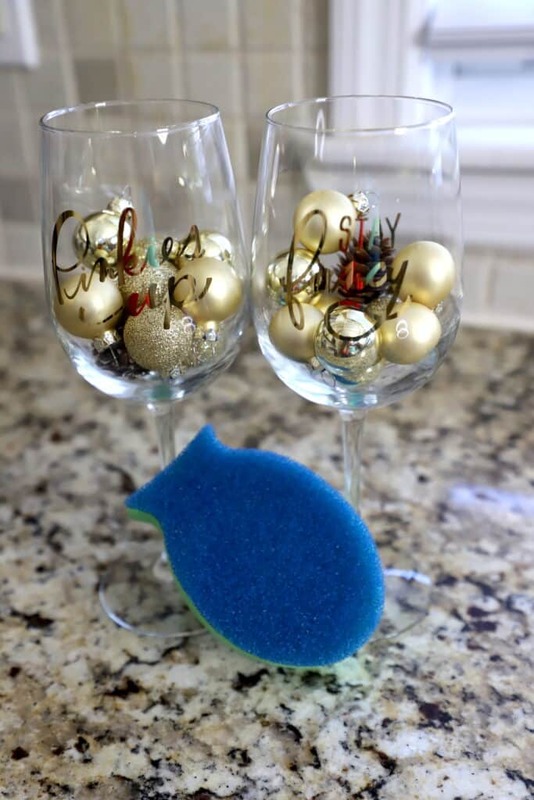 What a perfect idea for cleaning wine glasses and flutes that can be so difficult to clean. They are adorable too so makes them perfect for the kitchen!